It was Rob’s birthday last week. Órla and I were going to meet him at work and go out for lunch together to celebrate, and to introduce Órla to Rob’s work colleagues. As Órla obligingly had a nap in the morning I had time to make him some Blueberry muffins. The recipe was from my Scrumptious Muffins book and I was intrigued to use it as it had a crumble topping to the muffins that looked delicious! To make it I had to mix the crumble ingredients in one bowl with my fingers…which took ages because I did not soften the butter as instructed. I then had to mix the dry and wet ingredients in separate bowls before combining them together. It was an interesting mix as it included sunflower oil and creme fraiche instead of butter. Then it was time to assemble the muffins. First I put in a layer of batter. Then I added blueberries and topped each one with the crumble mix. In to the oven they went and out they came about 25 minutes later. They looked very similar to the picture in the book! That never happens to me! I took them in to Rob’s work where he said they went down very well. I didn’t get chance to eat one till the evening. My taste verdict: they were just OK. The bun was a bit underwhelming for me and a little bit too chewy. I prefer my muffins more crumbly! Speaking of which, I did love the crumble top and would like to try that idea with other bakes. Overall I’d give it a 5 out of 10, but still got some good things to take away from it. Plus average cake is better than no cake! I meant to hold off on doing a post about Orla’s room until it was 100% finished but I have grown too impatient, plus I really love how it is coming together and want to show it off. So this is Orla’s room at 90% complete. Her cot is still in our bedroom as she is sleeping with us for a couple more months. We also need to paint the door and replace the handle. The paint on the wall is called ‘buttermilk’ by Dulux, which my phone camera does not do justice. Rob and I spent about 40 minutes in B&Q trying to choose just the right colour. I wanted a creamy yellow that I could picture in my head but took a while to locate in store! Buttermilk turned out to be perfect; bright, clean and a cheerful neutral! I knew I wanted to have a Peter Pan theme so was delighted when I found these wall stickers on etsy. The company is called The Sticker Stop and they were brilliant. They made me a bespoke quote to go with the flying children. It says ‘second star to the right and straight on till morning’. Its going on the bottom of her cot once we move it back in to her room. But for now I love looking at Peter Pan leading the children off to Neverland, and Tinkerbell hiding in the corner! The wardrobe is from Ikea. I picked it as it was small enough to fit in to this tiny room without overpowering it, and I love that it has built in shelves for Orla’s toys and books. The pink artwork on the walls were made by my talented and lovely Aunt Shirley. I absolutely adore them. Especially the alphabet one! A lot of the room is neutral as we didn’t know whether we were having a boy or a girl, so it is nice to have some proper girlie pieces in! Final thing to show off is the childrens’ book cover collection! This photo frame was a wedding present and I’ve simply filled it with postcards of childrens’ book covers. The postcards came in a box of 100 Puffin Classics from TK Maxx. It was really hard to narrow it down! So that is Orla’s room right now. I really like this space, it has a lovely feel to it. Whenever I go in it feels warm and peaceful. I am sure that it will feel less peaceful once Orla starts using it properly! I’ll post another update in a couple of months time when it is truly finished. Sleep is a beautiful thing, and you never appreciate it more after having a baby! This last week Orla has been sleeping in six hour blocks at night and suddenly I feel like a whole new woman! Candles! Even though it would be daft to leave them lit when you go to sleep, having them going can really help you to relax in your wind down time. Freshly washed pajamas. Is there any nicer feeling than getting into nice clean PJs? A good book – if I ever struggle to fall asleep, reading a chapter of a book normally does the trick. Cosmetics in good packaging. I love miniature perfume bottles and classic simple tubs of moisturizer. Hat boxes! I have a hat box on top of the wardrobe. I keep my rarely used beach clothes in there; swim suits, sarongs….and sun hats! 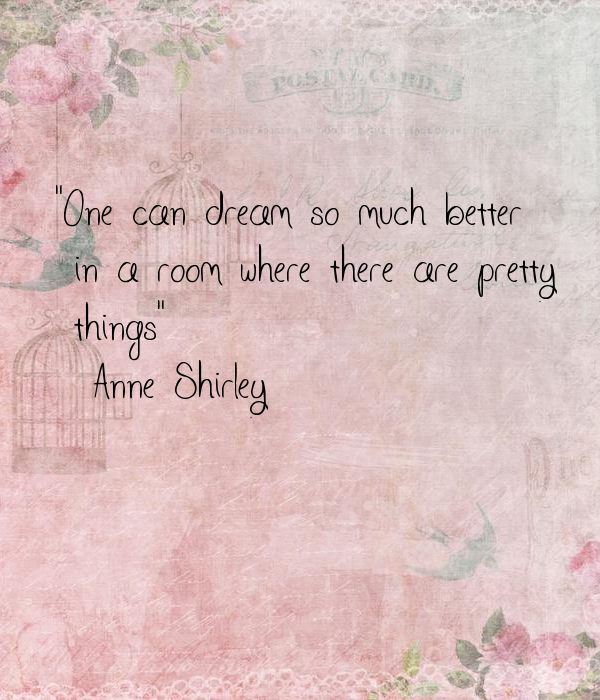 I like looking at the pretty box and it inspires sunny beach daydreams! Flowers. If stuck for inspiration, fresh flowers in a vase always look good in any room. Especially Tulips! When I turned 21 we did a big family holiday to California. It was a the biggest trip we had ever taken and was an amazing experience. We did a couple of days in LA, then moved on to Laguna Beach, then headed inland to Joshua Tree National Park before flying home from LA again. I loved everything about that holiday, but one thing that stuck with me is the sweet American approach to breakfast. In Laguna Beach there was a really friendly cafe right on the sea front that served the most amazing things for breakfast – huge stacks of pancakes drizzled in syrup, eggs of every variety and waffles as big as your face! It was spectacular! Now, don’t get me wrong, the good old English breakfast will always have first place in my heart, but there is a place to appreciate the maple syrup joy of indulging your sweet tooth on bright sunny mornings! 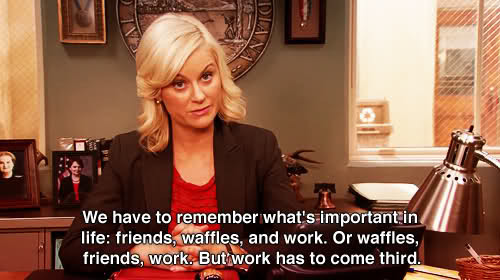 But waffles in the UK are hard to come by – they just haven’t made it big over here. So I was delighted when one of my favourite Lancashire Mill shops opened Tootsie’s Ice Cream Parlour! Tootsie’s is a gorgeous little place in Oswaldtwistle Mills that serves pancakes, waffles and ice cream in a huge variety of inventive flavours. Last time we were there I have oreo flavour and my mum had cinder toffee! The waffles are perfection and generously served. You can’t see in the photo but this is like a waffle sandwich; two layers of waffles with a big helping of strawberries in the middle. The milkshakes are yummy too! This was a banana one and of course I had to have sprinkles on top! I am so pleased that I have found a local place to satisfy my waffle cravings! If you ever want to indulge in ice cream you can find out more about Tootsie’s here. Its 4 o’clock on Friday afternoon. Little Miss is asleep in my right arm as I type with my left hand. We’ve had a walk in the park, lunch with my mum and a good session with the health visitor. The sun is out and birds are flitting around the window. Watching Dinnerladies by Victoria Wood. I have been rewatching this very Northern and witty comedy. So much of this sitcom is spot on in its wry observations and I love how understated the drama is. It never fails to make me smile. Drinking hot chocolate with all the trimmings at every opportunity. Yummy-ness every time we go out. I’ve stopped drinking pop whilst breastfeeding, just because I don’t want to risk the caffine when every hour of sleep is precious. So my indulgent drink at the moment is hot chocolate. Eating meals prepared by the Irish Lad. Seeing as Orla always wants feeding whenever I try to cook, Rob decided he would do all the evening meals. He’s a good cook on the quiet and we have been having more varied meals since he took over. And as we are not eating out once a week at the local pub we are probably eating much healthier over all. I am feeling spoiled! Appreciating Spring blossom. Took this photo on Sunday when we had a nice walk along the canal. And we spotted two swans building a nest! It was so beautiful. I love that the days are getting brighter now and we can get out and about more. I am looking forward to many more sunny walks this year! Generally things are good. I feel like we are past the intense newborn weeks and are in to a new stage. It’s lovely to see my little girl interact more and more with the world around her, and we are all getting more sleep now. Yeah, sleep makes a big difference! I absolutely adore vintage tea sets (I have two!) but I don’t actually like tea so a lot of the time they just sit in the cabinet. Which is a shame. 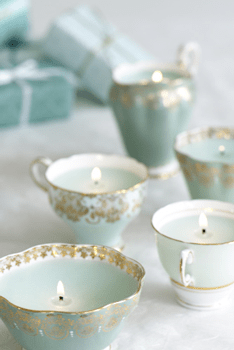 Well, I looked into how to make teacup candles myself and to be honest…it sounded like too much faff, and with a little baby I don’t have much time for crafting right now. Plus I am scared of damaging my precious teacups! 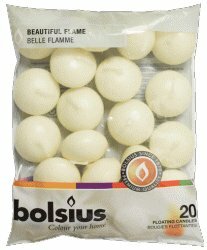 I went on to Amazon and bought a bag of 20 floating candles for £6.50. They are supposed to last for five hours each. That’s a 100 hours of candle time! I then filled a teacup with water, found a good spot for it and lit the candle. I quite like the effect. I think it is just as effective, although it isn’t scented. But maybe adding a couple drops of essential oils would remedy that? Not that I have any oils! Here is how it looked when the day got darker! So that’s my cheat version of teacup candles! Mind you, I would still be open to picking up a proper one at the next craft fair I happen upon! For the last year or so I have made the effort to make every third book I read a non-fiction book, and I am so glad I did. It’s been a great way for me to keep on learning. I’ve found that non-fiction work doesn’t have to be dry and boring. In fact if you find an author who is intelligent and passionate about their subject you will find that you soon start catching their enthusiasm. Which is why I ended up reviewing a Sport Science book in the last book bag post, even though I normally have zero interest in the subject. When I was in school I thought that English Literature was much more interesting than English Language. Its only now that I realise that it is the mechanics of language that give literature its beauty and power. The Elements of Eloquence is a tour through literature and oratory and it’s grand landscape of tricks and techniques that make phrases memorable. Each chapter examines a different rhetoric device and gives plenty of recognizable examples so that you can see it in action. I had picked this book up and put it down again in two book shops before I eventually gave in to temptation and bought it, and I am so glad I did. I really enjoyed reading this and can see myself turning to it in the future to try and improve my own writing projects. It also has a great sense of humour about it that had me chuckling away to myself. And inbetween readings, it is a beautiful book to have on my book shelf with its dark green cover and gleaming gold script! Its nice to have books that look nice!